Softball is a form of baseball that is played nine to a side on a smaller playing field. It was invented in 1887 by George Hancock of Chicago's Farragut Boat Club, who imagined that the popular game of baseball could be played indoors. "Indoor baseball" became very popular, and the game was soon played outside in parks and on playgrounds. Photographer Heather Mitchel from Moulton, Alabama, got the idea to shoot her daughter after a conversation she had at softball practice. Daily Mail. Friday, 19 Apr 2019 20:09:27 GMT. A community sports project is helping young people in a Cape Town neighbourhood with relatively high levels of crime, to deal with the difficulties of their everyday lives. AfricaNews. Friday, 19 Apr 2019 07:22:00 +0000. 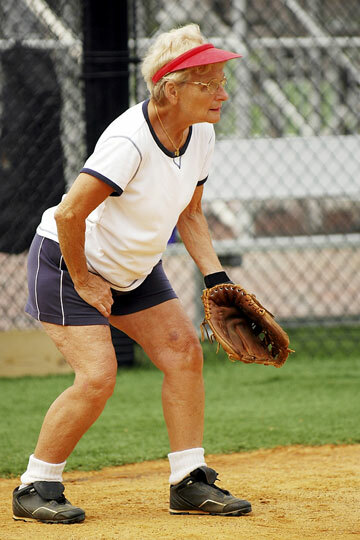 Traditional softball is played on turf with a dirt infield. As in baseball, the playing field is diamond-shaped, with home, first, second, and third bases. Home base is at least 46 feet from the pitcher's mound for men, and 40 feet for women. The bases are each 60 feet apart. The object of the game is to score runs against the other team. The infield consists of a catcher, a pitcher, three basemen, and a shortstop. The outfield consists of a player in left field, center field, and right field. There are seven innings in a softball game, and each team gets a chance to bat and field every inning. 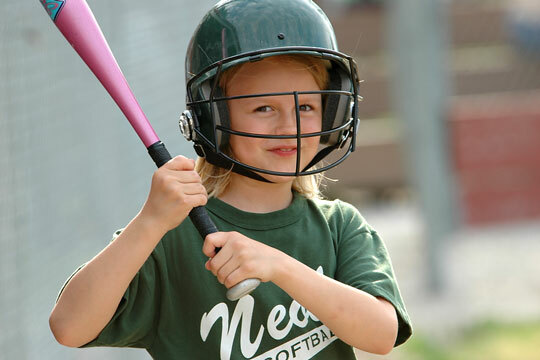 Each team is allowed three "outs" while at bat; an out occurs on the third strike, when the batter "bunts" (taps the ball without swinging) a foul ball after the second strike, or when a foul ball is caught before it touches the ground. Upon three strikes, the teams exchange positions. One difference between baseball and softball is the pitching technique. 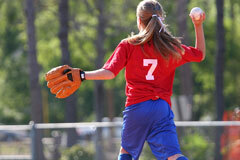 A baseball is pitched overhand, while a softball is pitched underhand. Another difference is the size of the ball. A softball is heavier and larger than a baseball, with a diameter of approximately 4 1/2 inches, and a center of cork and rubber. The bat is wooden, no longer than 2 feet 10 inches and no more than 2.25 inches in diameter, although an aluminum bat can also be used. 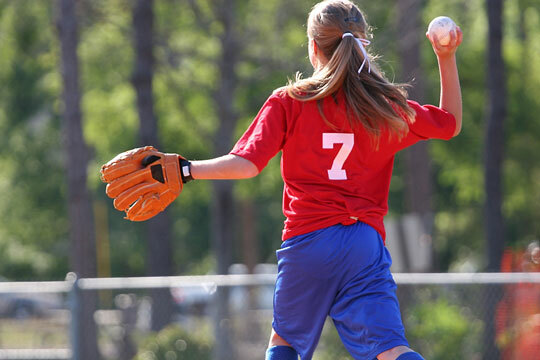 Organized softball teams typically wear uniforms similar to those worn in baseball, as well as cleats and helmets while batting and running bases. Any player may wear a glove, but the catcher and first baseman use special mitts. Masks and body protectors are also worn by the catcher.